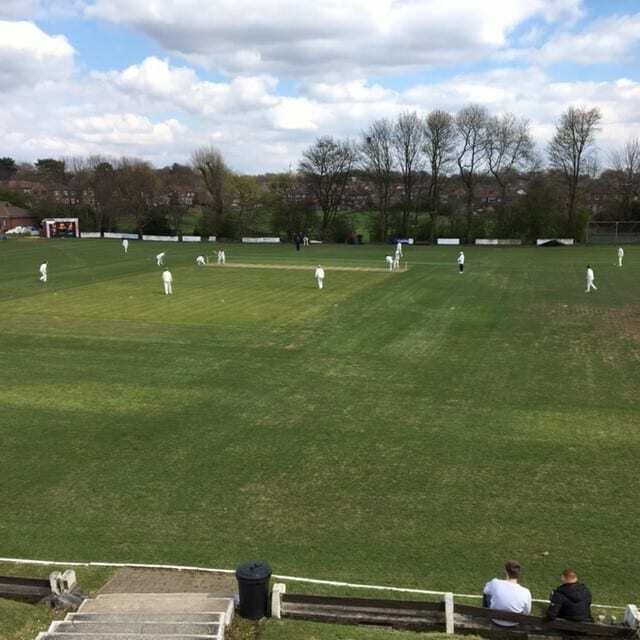 Prestwich 1st team’s warm-up match against Lancashire League side Haslingden left them with a satisfied glow amidst the April chill. Ahead of their opening league fixture of the season this Saturday, the friendly contest proved an ideal platform to oil the Prestwich wheels. New signing Danny Pawson was quick out of the starting gate, claiming 3 early wickets as the visitors were reduced to 11 for 4. After a delayed arrival, Graham Knowles joined G Sudworth at the wicket and the pair got into overdrive to catapult the total to a hitherto unlikely 200, with Sudworth retiring on 74 and Knowles unbeaten on 67. Knowles, whose stay as Prestwich pro dates back to the late 1990s, showed why he earned that tag with some classy, at times almost effortless, strokeplay. Prestwich overhauled the target with some gas still left in the tank, and proved a good workout for the top order batsmen. James Wharmby (33) Lee Dale (47) Ali Azmat (retired 26), Ryan Stanbury (retired 31), and Sam Holden (17), all got useful time at the crease, as did Danny Pawson whose quickfire 40 not out rattled up the winning runs. Prestwich 1sts travel to Woodhouses on Saturday for the first game in the GMCL Premier Division.